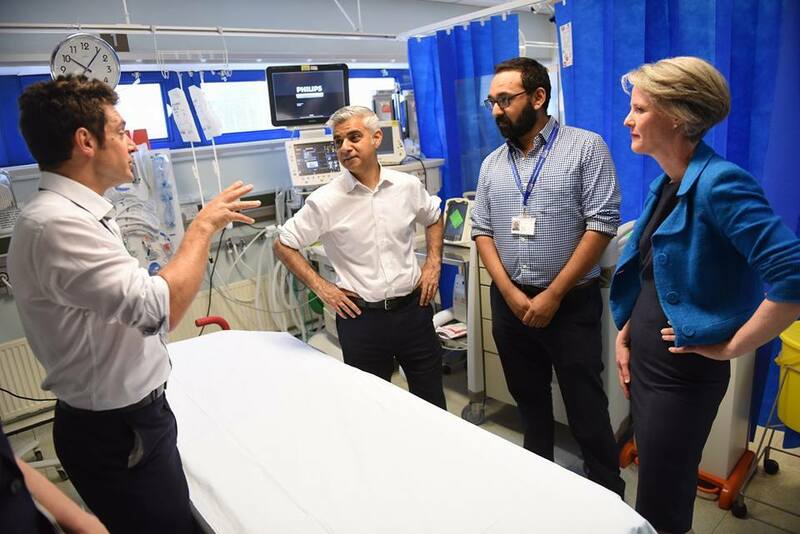 Sadiq Khan, Mayor of London, has visited our Youth Violence Intervention Programme (YVIP) at St Mary’s Hospital to learn more about our work with young victims of violence and exploitation, alongside the Deputy Mayor for Policing and Crime, Sophie Linden. The YVIP programme, which is supported by the Mayor’s Office for Policing and Crime (MOPAC), has been running at St Mary’s Hospital since October 2014. The programme embeds specialist youth workers in the A&E department, where they support young people aged 11-25 in the ‘teachable moment’. Many of these young people have been stabbed, shot or have been the victim of domestic violence or sexual exploitation. Sophie Linden said: “Eight young people have lost their lives on the streets of London since the beginning of this year. That’s eight young people cut down in their prime”. We are really pleased to have hosted this visit with St Mary’s and look forward to continuing our partnership with the Mayor and his office. The Mayor’s visit attracted much attention from the press and media including this BBC piece and this article in the Evening Standard.